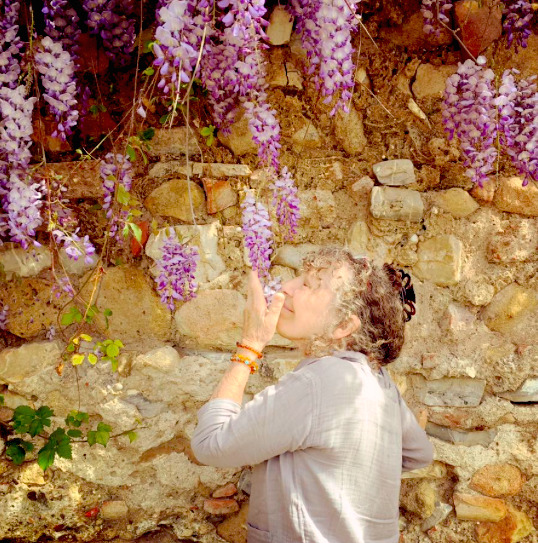 I'm thrilled to offer you this 15 week in-depth exploration of Benedicaria, the Blessing Way of Southern Italian Folk Medicine. This body of work has been coalescing within me for the last several years and I now feel ready to present it to you in its entirety. Indigenous European traditions not only still exist, they are thriving. It is my privilege to share what I know of them. You can sign up for this class at any time. Upon registration, you'll be sent an email with directions for proceeding. "Benedicaria is a term that links religious faith, from the dawn of time, to our physical well-being." I first learned about "Doing a Little Holy Thing, or Fa Lu Santuccio" from my family of origin - my mother, aunts and grandmother. We had no special name for these practices at the time, it was simply the way things were and what we did. In recent years, I've been greatly influenced and taken deeper into this ancient indigenous tradition by elder woman in my ancestral village in Southern Italia who still practice the old ways. I have been blessed to spend an average of 3-4 months under their tutelage each year, since 2004. I've created this program to be inherently experiential...I want you to shake loose ancestral memories. I want to help you open the portal into connection to our collective inheritance - bloodlines, language, culture and spirituality. Benedicaria The Blessing Way of Southern Italian Folk Medicine is specifically designed for those of you with Southern Italian roots, many of whom have longed for reconnection to ancestral ways and have asked for such a course of study. However, it is not necessary to have roots in Southern Italia to benefit from this class, as it is, at heart, both a cross cultural exploration of Old World European indigenous spirit medicine and a deep dive into personal spiritual/ancestral terrain. As we say in Italia, "this is not solely Italian history it is human history." Below you'll find the bare bones outline of the course. At the start of the class, I will send the student the complete class outline as well as the homework/research/inner work assignments that are suggested for each week's lesson and will also include resources/links and print additions, as applicable. Active participation on the part of each student is strongly encouraged. Each week�s class audio file will be at least an hour long and may run longer. Here is the basic Benedicaria Class Outline. The student work associated with each lesson will be sent along with this outline at the start of the class. Lesson 3 - THE BENEDETTI - The Blessing Way - Fa Lo Santuccio - Who are the Benedetti and what do they do? LESSON 6 �MAGNETIC MYSTERIES - Healing and protecive stones, iron, earth energies, magnetic poles, power points, choosing a place for prayer and ceremony. Lesson 7 � PULIRE E PURIFICARE - Cross Cultural Cleansing Ceremonies � Constructing a ceremony, a blessing, a prayer � Limpias - healing ceremonies � egg healing - Herbs and stones for healing ceremony. Lesson 13 � HOLY SPIRIT OF THE HEARTH � Domestic holiness � cleaning as spiritual practice � domestic tools as saced objects (broom, dust pan, whisk broom, spray bottle, wash rags, etc.) holy water, smudge/fumigation � bells � lifting the energy of the home and prayer space � enhancing the health of one�s environment � growing certain plants around the home for protection, health and good fortune. LESSON 14 � SACRED CELEBRATIONS - Making a sacred space in the home, creating an altar. Sacred Days/Holy Days � Catholic/Pagan correspondences � solstices and cross quarter days, traditional Southern Italian seasonal celebrations, foods and beverages.